Following the acquisition being signed into UK law this week, JLT is now officially part of Marsh & McLennan. While Marsh CEO Dan Glaser describes it as a start of a “new era” many will be feeling it is also the end of an era. Around 10,000 JLT staff are facing the reality of the acquisition as they see the JLT sign replaced by their (former) American rival’s at reception; for some it will be an emotional moment. The British broker has been a disruptive force — smaller than some of its global rivals and known for its entrepreneurial culture — it has been a part of the fabric of the global broking community for decades and has a particularly strong presence in the Lloyd’s of London market. The firm was established by Jardine Insurance Brokers in 1972 under Hong Kong-headquartered British conglomerate Jardine Matheson, which owns the likes of upmarket hotel group Mandarin Oriental, property firm Hongkong Land and Asian supermarket group Dairy Farm; at the time of sale it was still 40% owned by Jardine Matheson. 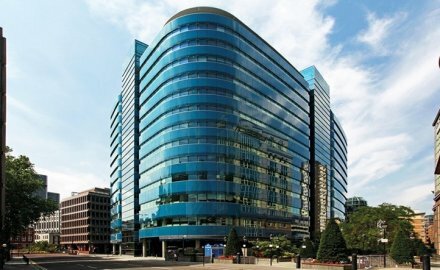 Jardine Lloyd Thompson was created in 1997 when Jardine Insurance Brokers, which listed on the London Stock Exchange in 1991, merged with Lloyd Thompson Group. The broker subsequently made acquisitions, including Pavilion Insurance and Harman Wicks and Swayne, and formally changed its name to JLT in July 2009. In 2000 it had snapped up Burke Ford when group chief executive Dominic Burke joined and gained shares in the combined businesses. Since becoming group chief executive in December 2005, Burke — a genuine market character, helped transform the broker and understood the importance of wholesale, employee benefits, specialty (JLT Specialty) and reinsurance (JLT Re); indeed the JLT name will live on under the Marsh JLT Specialty brand. One of the largest deals Burke made was the US$250 million acquisition of New York-based Towers Watson’s reinsurance broking business in 2013. Burke also understood the importance of Asia and has helped establish a robust corporate and employee benefits business in the region. Burke, CEO for more than 13 years, is now millions of pounds richer following the £4.3 billion (US$5.7 billion) deal. At the time of the announcement of the sale in September, Burke said: “The ethos and the culture will live and flourish. We can move mountains.” From now on those words will be put to the test and Burke’s role as vice-president Marsh & McLennan and a member of the executive committee will be vital to achieve this. Already there has been disruption with the sale of JLT’s aviation business to Arthur J Gallagher to appease competition concerns, and several key senior members of staff including Mike Reynolds, former global chief executive of JLT Re, deciding to leave. There will be no time for sentiment for Marsh’s senior exec team as they seek to deliver cost synergies, keep JLT’s producers onside and attempt to deliver value to shareholders. There will be inevitable short-term disruption as emails are changed, marketing is aligned, offices are relocated, staff are assigned different direct reports, clients are explained the rationale behind the merger etc. Although much preparation work has been completed determining future management teams, this week Marsh’s executives will gain full knowledge of JLT’s state of trading and how they have been operating and identifying the full annual cost synergies of around US$250 million that will be realised over the next three years, with one-time integration costs expected to be US$375 million. The New York-headquartered firm is also likely to mobilise enhanced buying power with insurers and reinsurers, and potentially generate increased commissions. JLT’s staff should expect much change ahead but be proud of their achievements to become such an attractive acquisition target in the first place. Has pricing turned a corner in Asia? The corporate market appears to be learning its lesson this year after a capacity squeeze.